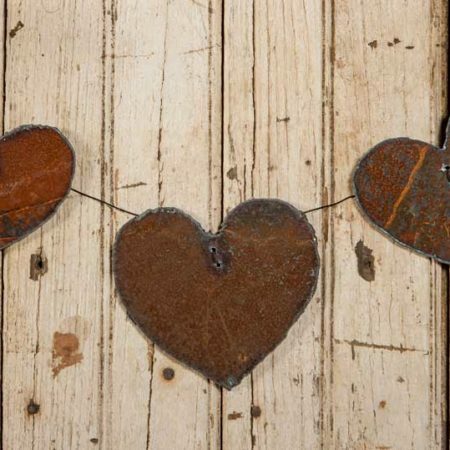 This flexible metal design includes three larger rusted steel hearts wired to a single strand of metal wire. 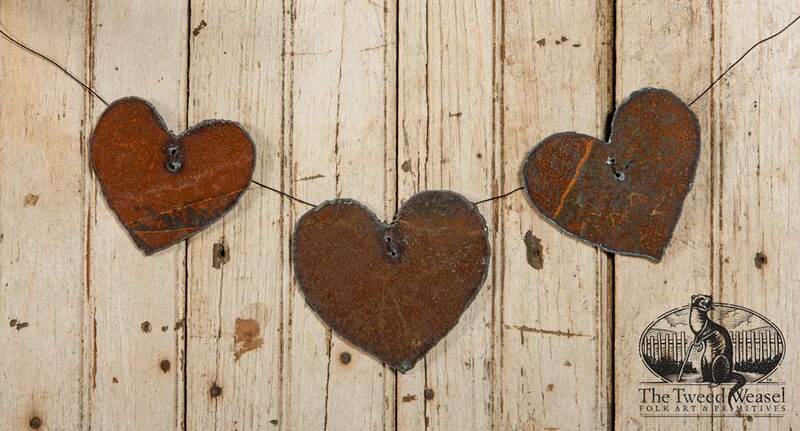 The hearts are plasma cut from 1/8-inch steel. Only one of this design is available for immediate shipping. 16 inches wide x 5 inches tall. Approx. 18 inches of open wire on each end.